The Infinidat portfolio covers a full range of robust storage and data protection capabilities, easily leveraged to address the biggest data management and data protection challenges for private, public, and hybrid cloud architectures. Primary storage, cloud storage, business continuity, and disaster recovery are all supported by Infinidat solutions. Big data, done well, requires big storage - petabytes are the new terabytes. 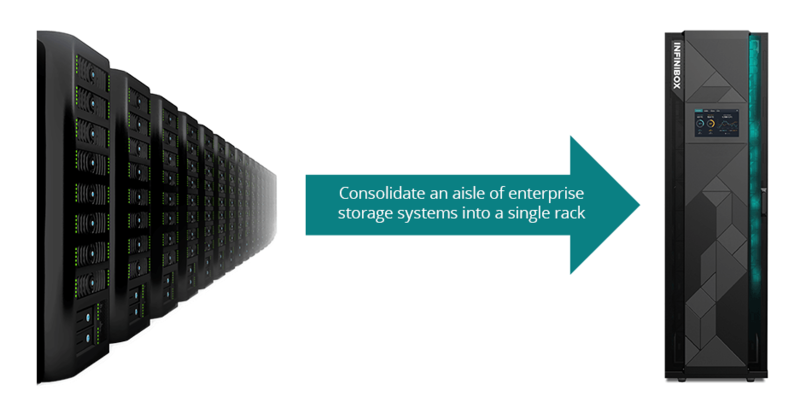 This shift in scale changes the way that storage systems are evaluated for performance, availability, and cost. Sacrificing one requirement for another is no longer a viable strategy, as the scope of data-intensive applications continues to increase and accelerate. Infinidat storage solutions enable our customers to “scale to win”, supporting a broad range of analytic applications (Splunk, Elk, Elastic) and datasets (IoT, time series, machine-generated, etc.). See how you can scale to win. Download our white paper to learn more. 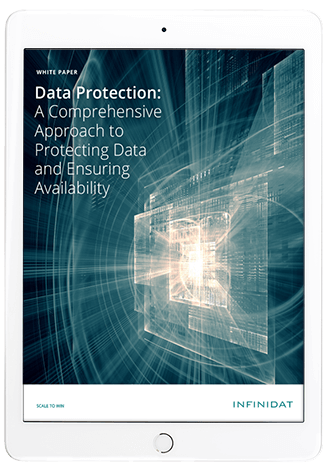 As data has become the lifeblood of business today, protecting that data is the most important task IT has in the data center today. 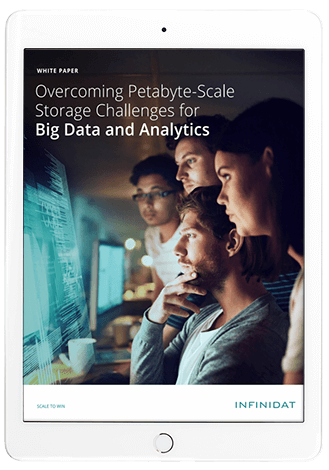 Download our white paper to learn how Infinidat’s innovative storage software architecture, exploiting patented Trie technology, provides practically unlimited, space-efficient and incredibly fast snapshot capability for quick operational recoveries. Download our white paper to learn more. Infinidat storage solutions support private, shared, and hybrid cloud environments with unmatched performance and reliability at a multi-petabyte scale. Automation integration is simple with a comprehensive RESTful API and Python SDK. Extensive support for virtualization and QoS controls make multi-tenant support easier than ever. 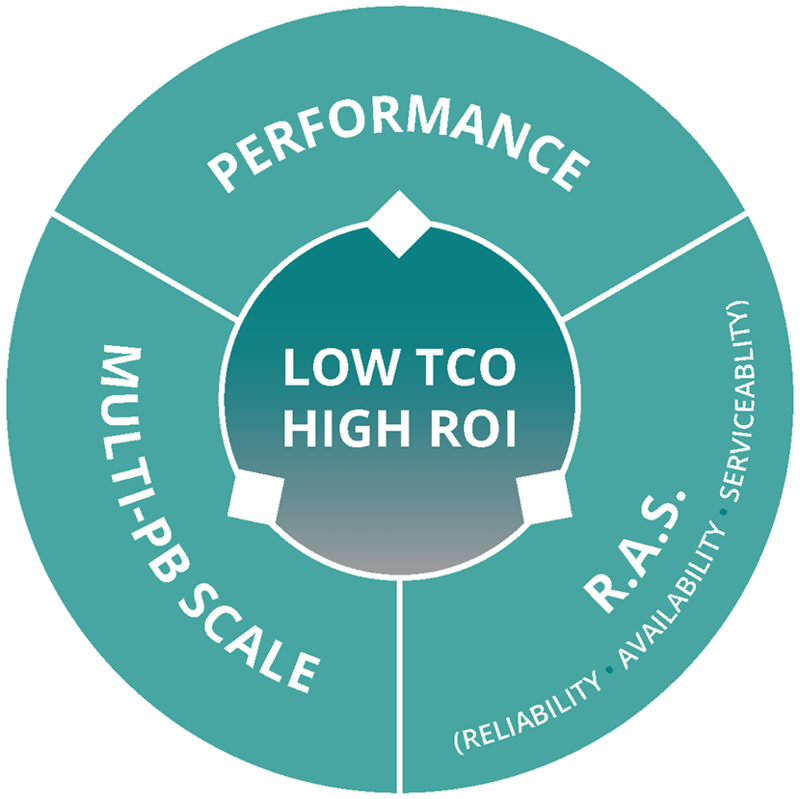 Beyond our technology solutions, we also deliver an industry-leading TCO with transformative financing programs that make acquisition and expansion costs affordable and predictable. 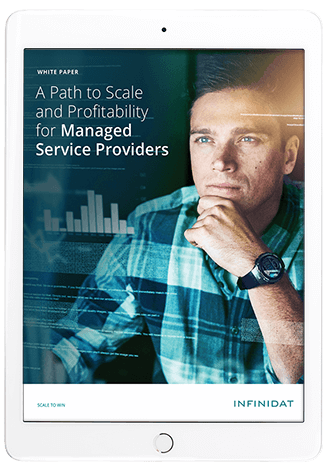 Download our white paper, A Path to Scale and Profitability, to learn more. Consolidate multiple systems easily and cost-effectively with InfiniBox. Choose from F6000, F4000, or F2000 series InfiniBox based on capacity and performance needs. Systems are packaged in a single 42U rack and can scale from 230TB to well over 8PB or more of effective capacity. Download the analyst report from Storage Switzerland to learn more. Data breaches are increasing at all levels of the IT stack. As a result, companies are moving quickly to implement application, container, and virtual-machine level encryption. 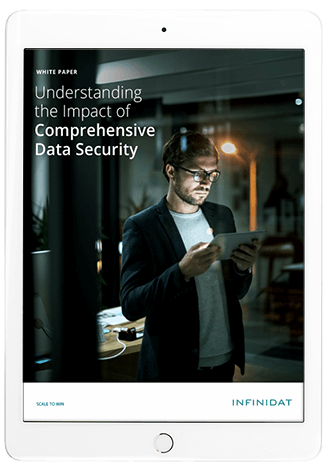 The challenge is that encrypted data cannot be securely compressed and deduplicated, leading to an immediate increase in storage cost by up to 5x. InfiniBox customers can achieve these cost savings along with the peace-of-mind delivered by application-aware immutable snapshots that cannot be deleted under any circumstances, including the compromise of administrator network credentials. Download our white paper to learn more. Databases are the engines that power digital transformation. Modern IT organizations face ever-increasing data requirements, ranging from operational database management systems to analytic data stores and data lakes. All of this is driven by line-of-business demands to deliver next-generation applications to customers. The common thread is the need for ultra-high performance and reliability, and a practically infinite capacity for growth. Large databases pose a unique challenge to enterprise data storage arrays by providing an I/O profile that is unpredictable and often overwhelms traditional, hardware-based storage systems. This is typically seen as high latencies and low IOPS, which in turn increases the run-time of database workloads. Infinidat solutions cover the full data lifecycle, ranging from ultra-low latency mission-critical production database and petabyte-scale data lake storage, to multi-site backup and recovery use cases, powered by a secure, dev-ops friendly API. 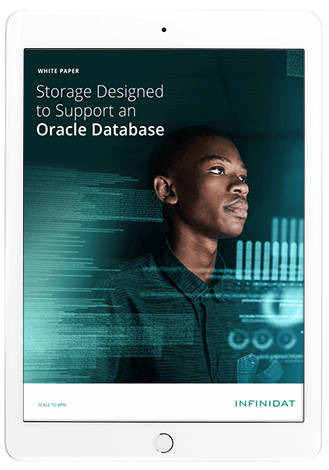 Download the white paper, Storage Designs to Support an Oracle Database, to learn more. Modern computing environments such as Kubernetes and VMware require a deeply integrated storage system that exports storage functions up to the cluster management platform and control plane API. This allows DevOps teams and line-of-business developers to update, test, and ship with maximum agility. IT operations teams, on the other hand, care about performance, security, and efficiency. Infinidat is a leader in advanced storage integration for VMware and Kubernetes. InfiniBox customers experience fast and easy deployment, operation, and protection of virtualized and containerized workloads, including single-VM backups and restores. Learn how your team can take advantage of enterprise-class performance and availability at multi-petabyte scale for virtualized workloads. 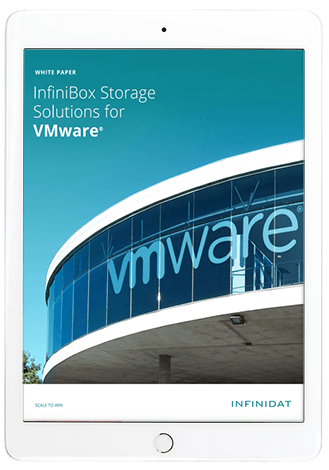 Download the white paper, Infinidat Storage Solutions for VMware, to learn more or visit our blog post here.